Ever dreamed of watching films from the comfort of a hot tub, while being waited on hand and foot? 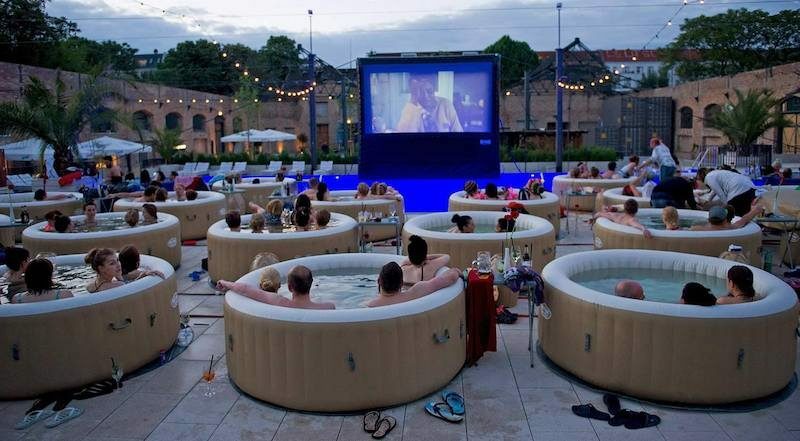 That distant pipe dream is about to become a reality as Tub Life’s Hot Tub Cinema is coming to Birmingham this summer! Tub Life will be taking. their Hot Tub Cinema on tour this summer, and Birmingham is one of eight scheduled dates across the UK. According to the official Facebook event, it’ll be in Birmingham on August 3rd – but this date is still to be confirmed, along with the exact location of the outdoor cinema. Attendees can expect screenings of cult classic movies while being served as much fizz and craft beers as they like – without having to even get out of their booked hot tub. Tub Life also say that hot tubbers can enjoy performers, hosts and BBQ food while they watch films on the UK’s biggest portable screen. Exact details are yet to be finalised, but you can keep up to date by confirming your attendance on the Facebook event here. Hot Tub Cinema will also be visiting Manchester, Bristol, Liverpool, Chester, Newcastle, Glasgow and Leeds.